Today the Limerick Area of the Irish Red Cross for roughly our 40th consecutive year are launching our First Aid Courses and Youth Membership for the young people of Limerick City and County. This process begins with a 12 week Practical First Aid Course before advancing on to other courses and opportunities. 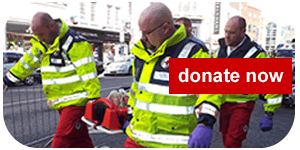 The Practical First Aid course provided by the Irish Red Cross provides education and training on all basic first aid scenarios to prepare you for the most common first aid emergencies. In a modern learning environment you will be taught the theory of these first aid emergencies before being shown practical and hands-on treatment of various medical conditions and injuries. These vary in severity from small bumps and cuts to the most serious life-threatening conditions. The final result we strive to achieve is a confident and certified young first-aider with the ability to help those in need during an emergency without risking injury to him or herself. Our primary focus during your initial term with us will be the successful completion of the Practical First Aid Course however as you progress you will be open to various opportunities within the vast network across the Irish Red Cross and International Red Cross and Red Crescent societies. You will start as a Cadet and progress through the organization gaining experience, confidence and new friends as you go. The initial cost of the Practical First Aid Course is €35. Please note we have a minimum age of 14 years old and maximum age of 16 years old. We are based throughout Limerick City and County. For a full list of locations and registration times for our Limerick City Units please see our flyer available here.